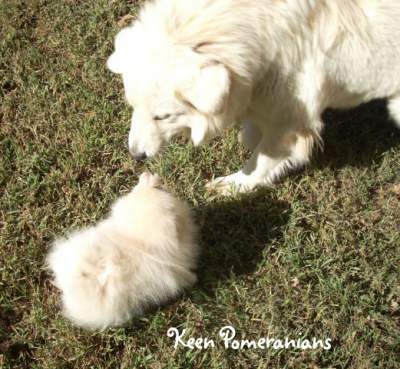 Learn some about Keen Pomeranians! My journey with Poms is one that I wouldn't trade for anything! My first pom was my graduation present from high school. I picked her out from the litter myself. When she was born she was dark brown, but she turned into the most beautiful cream sable with a black mask. I never ever regretted my Ewok! I loved her with all my heart, and her departure to Heaven was extremely difficult. I look forward to the day I hold her in my arms again in Heaven! Through all the heartaches, the happiness, and the tears - I love my Poms! Over the years new "faces" have come to join me, and some have gone home to Heaven, across the Rainbow Bridge. They will be forever in my heart, and forever missed, not a one of them is ever forgotten. They are extremely special gifts from above! My first Pom lead me to helping a relative of mine. I had already been showing another breed of dog, so I wasn't new to dogs at all, just to the Pomeranian breed. As I helped care for her Poms I was doing a great deal of Brushing, grooming, training, playing, cleaning, and lots and lots of pets and snuggles were occurring. I learned many ins and outs of breeding firsthand during those years. I am a 4th generation dog breeder, but this is where I got a great deal of in-depth experience. When that relation's health took a bad turn I cared for those dogs myself for about 5 years. Precious Pomeranians closed from the health issues, and we were all so sad! At that time I had 2 of my very own poms. When they passed on, I realized I did not want to spend my life Pomeranian-less! It as simply too much of a ache and a hole in my life. I started searching for the right new Poms for me and in the process wound up being "taken for a very expensive ride"! That experience was a major learning lesson and it took me quite a while to recover from it. It caused me to gain a personal understanding of what it is like when others come to me, especially if they have been lied or mistreated in the process with someone else. Because of this I also wound up occasionally re-homing Poms from people in situations where there was a death in the family, or they just were no longer able to keep their Pom for various reasons. In this way I became involved in periodical "rescue" type work. My relative got better for a while and my own dear sweet poms and their babies were able to step in and extend her life span for a while. What a big blessing from God they are! The future holds beautiful puppies for just the right Forever Homes, and maybe....one day....our own "home grown" champion show Pomeranians. Here are a few more things I want you to know! I also work with another breed that helps guard my little fur-balls from harm, my Great Pyrenees. 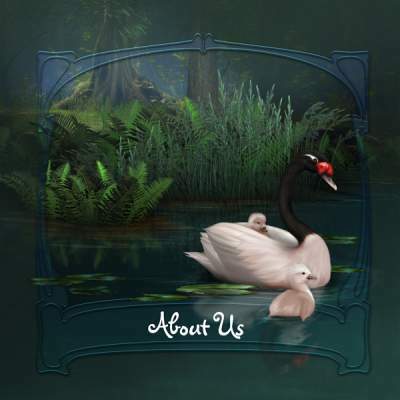 They do an amazing things but are not at all like a Pom! Poms are a joy that keeps giving, a blessing that doesn't stop, and I am so thankful to raise and love such beautiful Poms in such fantastic colors - and to get to share them with a few special people. I have someone to help watch over me!